Visitors welcome upon availability. For more information, please click here. 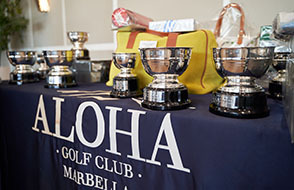 Welcome to one of the most prestigious and well-established golf clubs on the Costa del Sol. Located in Golf Valley, Marbella, Aloha is a private members club that has one of the most beautiful and well-kept golf courses in Spain. 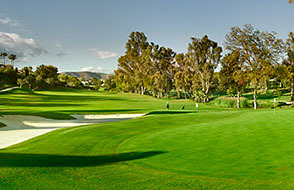 Aloha has hosted the PGA Tour 3 times in recent years and is one of the top courses in Spain. A parkland course of Par 72 it is laid out in the traditional way with 4 par 5′s, 10 par 4′s and 4 par 3′s’ distributed evenly between the two nines.At 6,293m (6,882 yards), from the white markers, the course requires accuracy from the tee and a good touch around the greens. 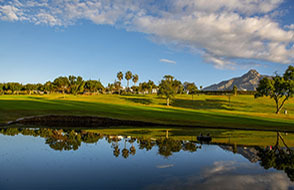 The course undulates through trees and lakes with outstanding views of ‘La Concha’ mountain and the Mediterranean Sea.The course designer, Javier Arana, further enhanced the playing experience by planting a wide range of trees and shrubs that provide beautiful displays of colour throughout the year. We organize special events and meetings. Discover the intense social life of Aloha. golf competition. The latest news, in Aloha Web. Aloha is both well-designed and beautiful. It is one of the top courses in Spain. 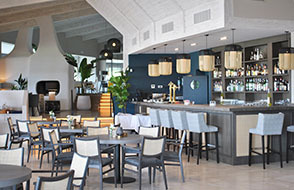 Located in the Golf Valley, in Nueva Andalucía, Marbella, Aloha is an exclusive members club that has a great atmosphere and an active competitive playing membership. A great place to make friends. Fly over the course. A virtual flight that takes you through every hole of the course as if you were in a helicopter. Throughout the year Aloha hosts open tournaments for seniors, juniors, ladies, men and couples. Click here for more information. Aloha is a great place to improve your golf. 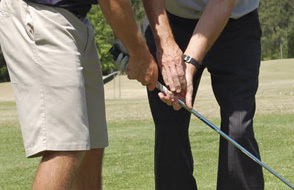 Our course professionals can arrange individual and group lessons. 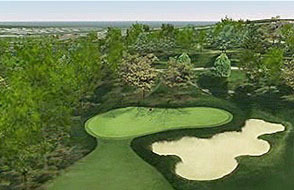 Photos of the course, the clubhouse and other facilities. We have also tried to capture the atmosphere of the club.